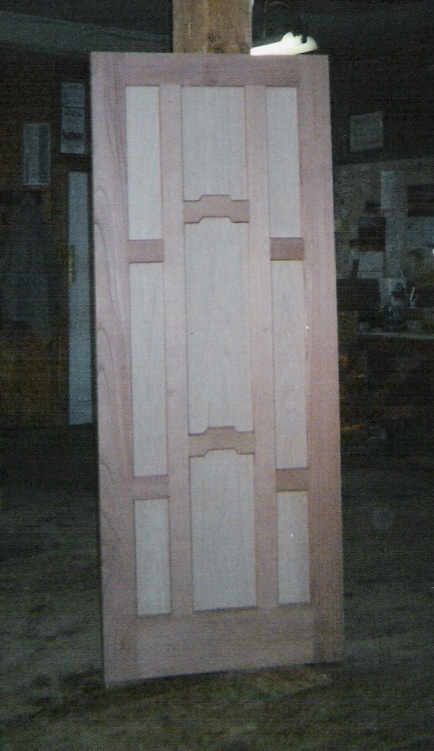 Double interior panel door units -closet doors - new construction Interior door unit - four raised panels. 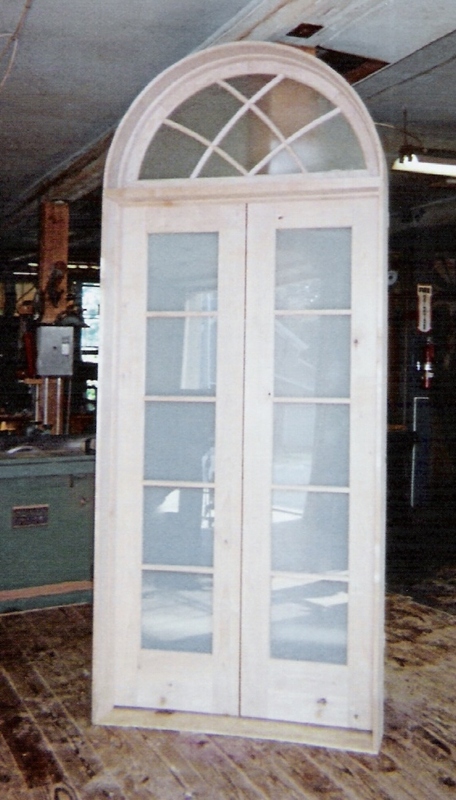 Interior double french door unit - 15 true divided lights. 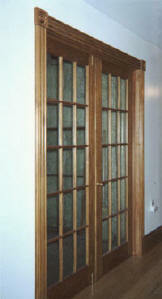 Interior tongue and groove red oak double closet doors Interior double inner arch top door unit - frosted obscured glass. 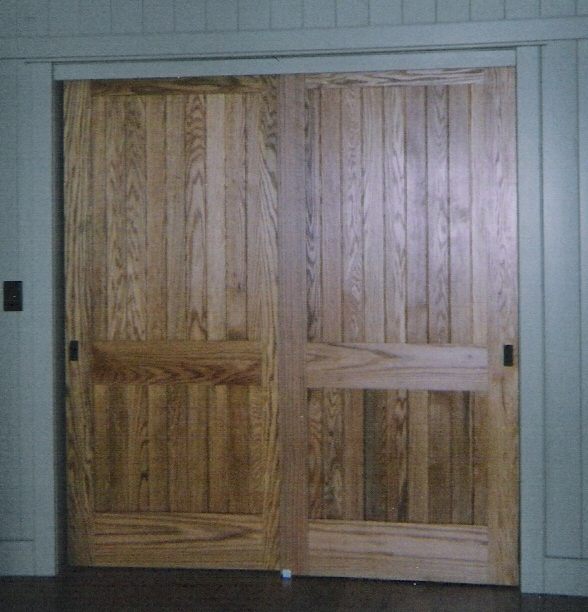 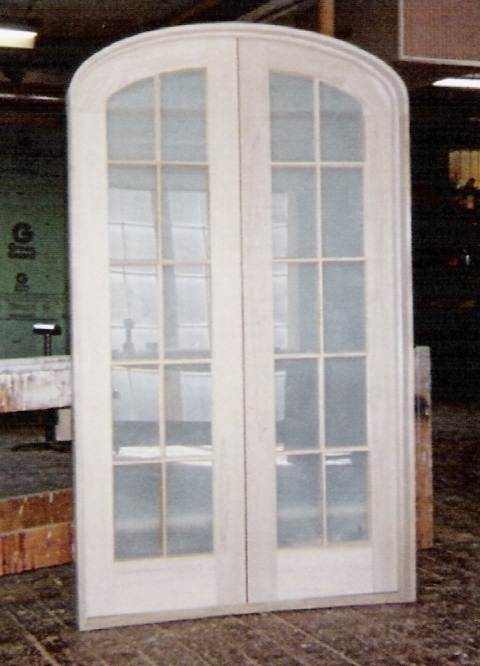 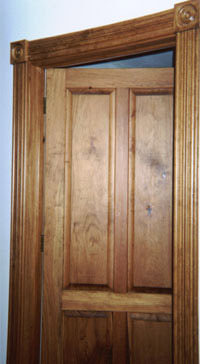 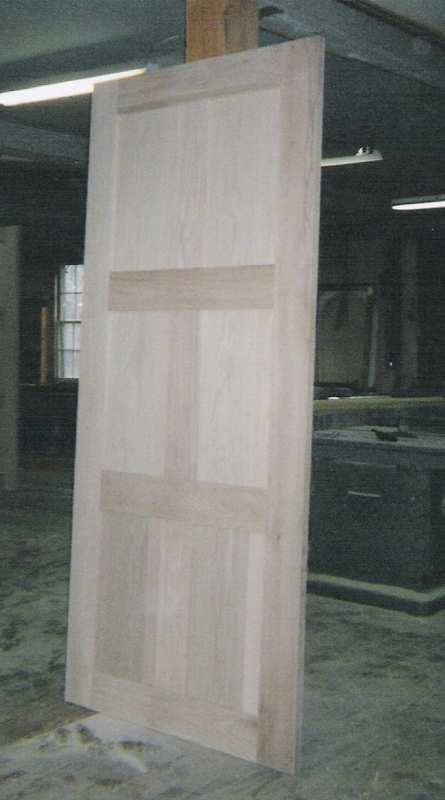 Interior double ash doors - reproduction of existing. 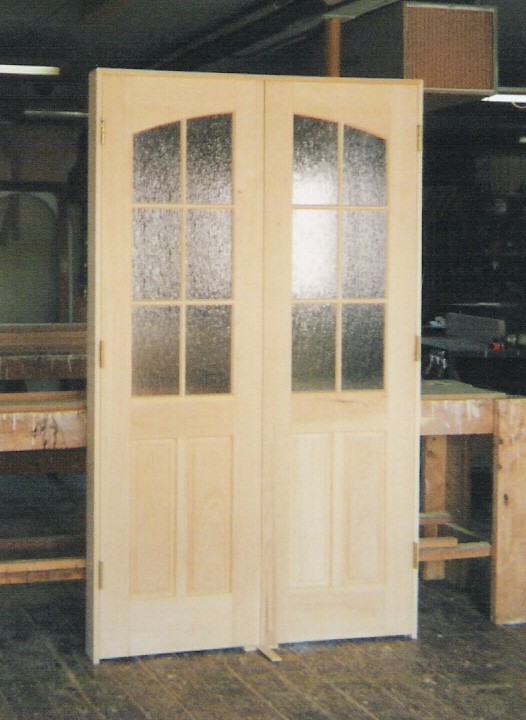 We custom manufacture custom solid wood interior doors ; single or double, glass door, panel doors, french doors, arch top doors, inner arch doors, bevel glass panel doors, pattern glass, closet doors, pantry doors. 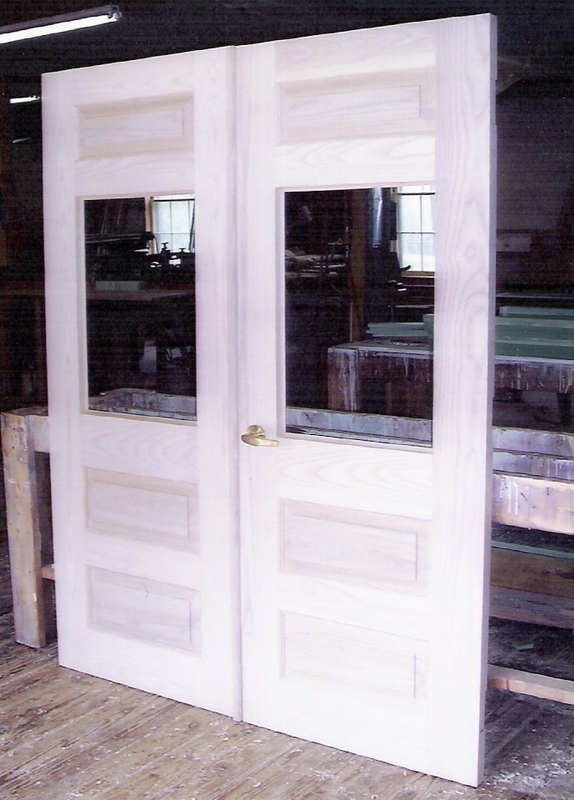 We custom produce to match existing or custom build to custom design. 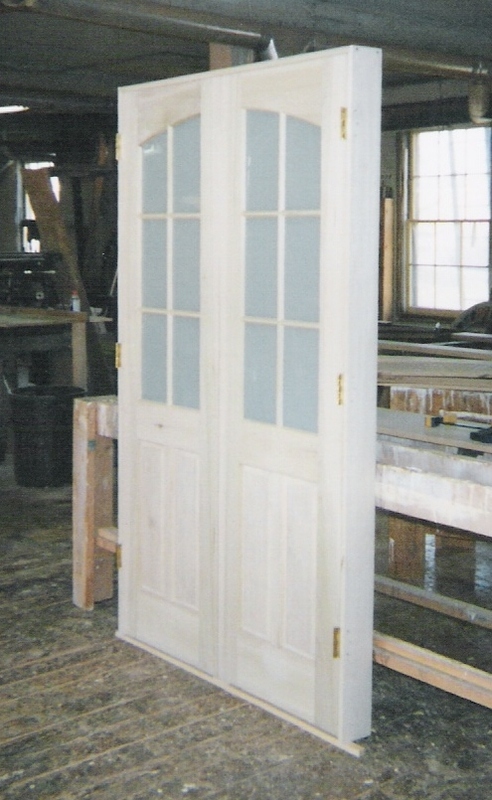 We custom fabricate one door or many. 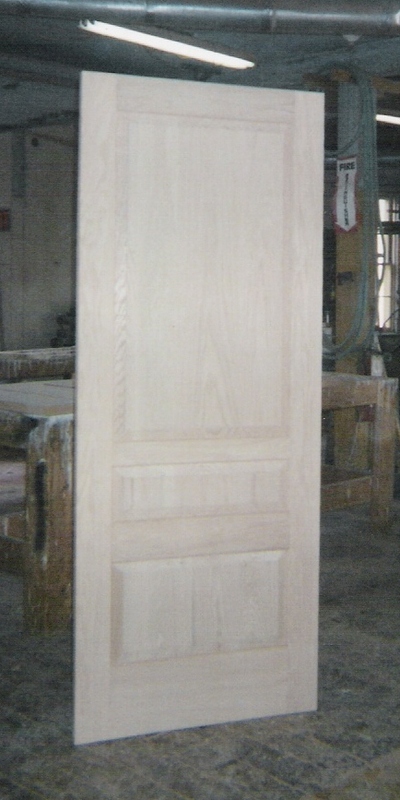 We build pre-hung in jamb units as well. 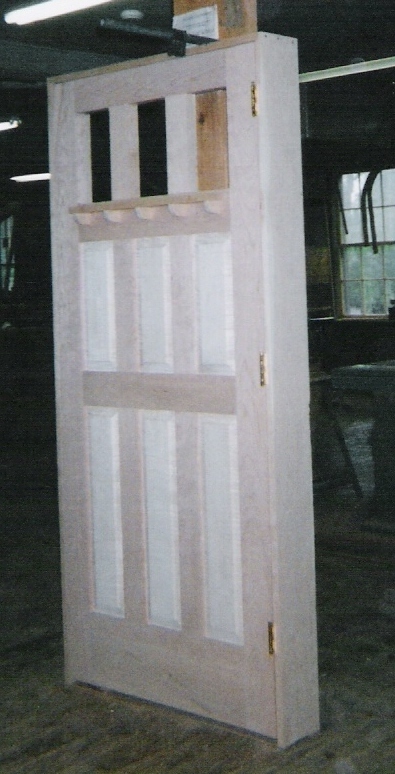 Reproduction of existing for old traditional house and historical buildings as well as new construction. 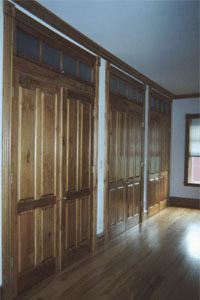 We work on restoration, renovation and addition projects and such. 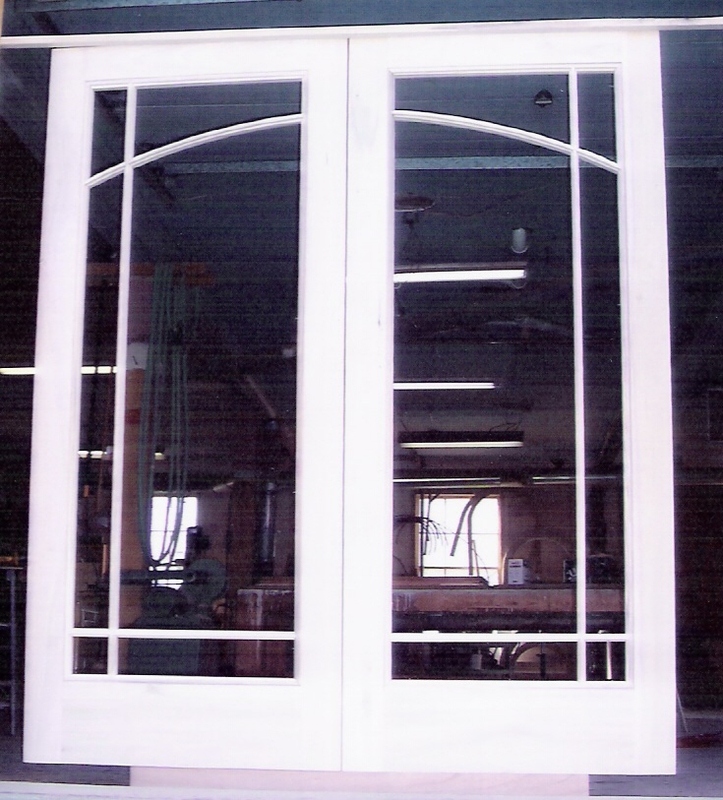 We build for residential and commercial.